Despite stiff competition from other companies, Marvel Studios has become the gold standard when it comes to superhero films. Avengers: Infinity War is the company’s biggest film ever; the box office juggernaut is on its way to a $2 billion worldwide haul. It’s almost an impossible act to follow. One film has a chance to cut a course straight through Infinity War’s wake, however. 20th Century Fox’s R-rated antihero film Deadpool 2 is just the thing to change things up after Marvel’s assault. 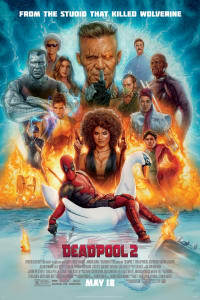 Deadpool 2 is the perfect follow up to Infinity War for several reasons, all of which have to do with the unique nature of Ryan Reynolds’s character Wade Wilson, and storytelling style that brings him to life. Wade Wilson may be a nearly un-killable mercenary, but his subversive personality is his greatest asset. Unlike most superheroes, Deadpool is acutely aware of his nature – and he is willing to remind us. Often. Deadpool constantly breaks the fourth wall, speaking directly to the audience to comment on pop culture and his own insane adventures. In the first film, Ryan Reynolds commented on everything from current world events to other superhero franchises. Deadpool has done this for years in the comics, but this was the first time we saw it on the big screen. 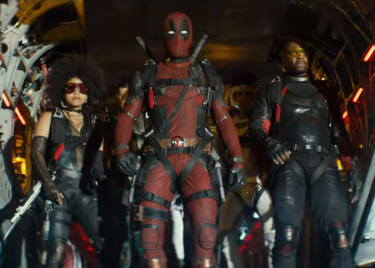 Deadpool 2 continues the antics with a more relentless barrage of jokes, knowing that the success of the original movie primed audiences for more. The meta-humor in Deadpool 2 creates unique comedy opportunities. This series can subvert and playfully mock other franchises, and Deadpool himself can poke fun at common superhero tropes. Any comparisons that can be made between the first film and this sequel might be easily weaponized and turned into a punchline by Deadpool. We’ve already seen footage where Ryan Reynolds cracks a joke about Josh Brolin, who plays Cable in the film, playing Thanos in Infinity War. Deadpool’s brand of self-referential humor is the ideal palate cleanser after Infinity War. Audiences and critics loved the Avengers film, but it wasn’t the usual Marvel fare. It had plenty of jokes, sure, but the story was also heartbreaking. The irreverent Deadpool 2 will offer a respite. That’s not saying Deadpool 2 won’t have emotional stakes. The relationship between Wade and Vanessa will likely be a huge part of the plot. Compared to Infinity War, however, Deadpool 2 is going to be lighthearted, like a playful kitten… with a couple of swords. Avengers: Infinity War was the culmination of ten years of effort. Although the Deadpool series is relatively new, it already has a huge fanbase. The character has been a favorite in the comics for years, and the success of the first movie cemented the red-suited hero as a surefire success. 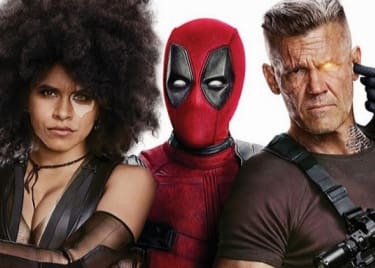 Audiences have been looking forward to Deadpool 2 for two years. Frankly, Deadpool 2 has the built-in hype and fan base to succeed regardless of which film came before it. Early box office predictions have Deadpool 2 joking its way to a $175 million weekend. Coupled with positive reviews and an 87% on Rotten Tomatoes, it appears the film is poised for success. Deadpool 2 might not be the only film that could have followed Infinity War. It is, however, the perfect superhero film to entertain audiences still reeling from the attack by Thanos. Deadpool 2 hits theaters on May 16, 2018.